In medieval Italy, daughters are expected to marry and raise children. In Alchemy’s Daughter, this whole concept is challenged. In San Gimignano, Italy, daughters of merchants are expected to marry. But Santina Pietra cares only for her Calandrino, a brilliant young scholar who is preoccupied with his ancient alchemical texts. He challenges her in her studies and teaches her to aim further then just a wife. I love a novel with a strong, female character and Alchemy’s Daughter provides this and more. In a period of history where women were expected to marry and provide heirs, Santina is a strong, confident young woman who goes against convention to follow her dreams of being a midwife. While many people rely on the midwife to provide care and deliver their children, the role of the midwife was cast as a witch in medieval times. Which we now know, that being labelled as a witch had deathly consequences in this time period. I love how the novel was full of surprises. Like the choice Santina made to learn midwifery, the novel didn’t follow the plot I assumed it would. This made it an even better read than I could have expected! I finished this whole novel in one sitting because I became so attached to Santina’s character and wanted to follow her journey. While in the beginning you may assume it may become a romance, the focus is not on the romance but instead on Santina’s journey of finding herself in a time period where this was frowned on. 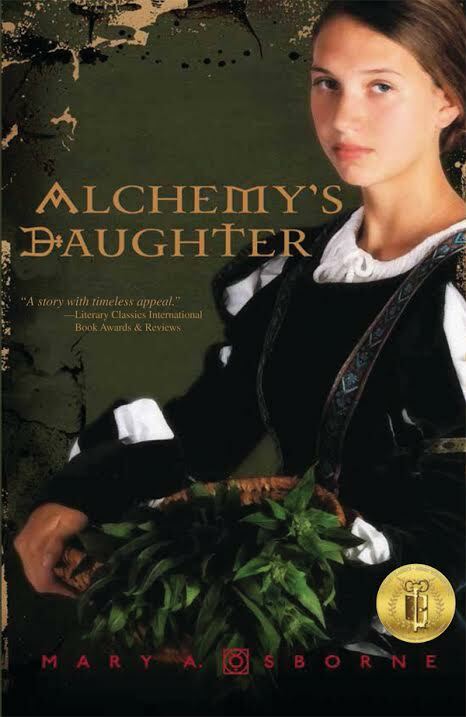 Alchemy’s Daughter is the perfect read for all historical fiction genres buffs but also for all young women who want a strong female lead. You can purchase a copy of the book on Amazon, Barnes & Noble and Book Depository. Mary A. Osborne is the multiple award-winning author of Alchemy’s Daughter and Nonna’s Book of Mysteries. She is a graduate of Rush University and Knox College, where she was mentored in the Creative Writing Program. Mary is a registered nurse and holds degrees in chemistry and nursing. Her freelance work has appeared in publications such as Hektoen International, Newcity, and the Examiner.com. Mary currently lives in Chicago. You can connect with her online, Twitter and Facebook. « PanAm Football Matches #WW with linky! I would love to win this book because it would be great to read this summer! I would like to win because I love the sound of this book. It’s based on my favorite time period. This book looks very interesting and I like to read historical fiction. Much appreciate your interest in my new book! Hope you enjoy the trip to medieval San Gimignano and Santina’s adventures.